We’ve all been there, the anticipation of ripping the wrapping paper off that giant box, is it a PlayStation, an Xbox, a Blu-Ray player? Nope it’s a cheap crockery set from the local discount store – thanks for that. Christmas Day is stressful enough, without the added pressure of perfecting the best fake smile – we all have one, and most of us can spot one a mile off. But who actually comes out on top in the bad Christmas present league table? We conducted a little research to find that very answer; so you know which carefully wrapped time bomb to look for under the tree. 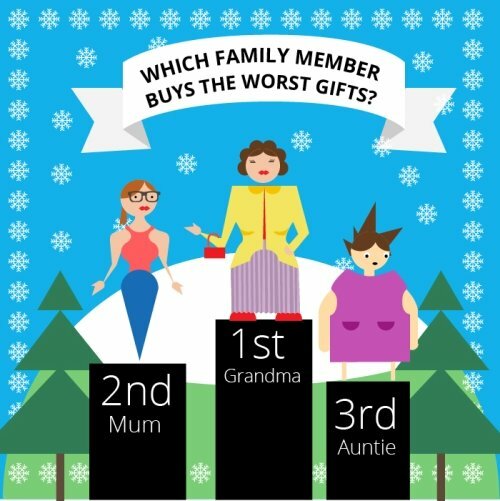 Which family member buys the worst gifts? She can bake a mean cake and her turkey is the envy of all around, but when it comes to buying gifts, granny is still living in the old ages – 47% of people felt that Grandma’s hand knitted sweaters were sooo 1945. Mum came in second with 31%, probably because the latest games console has been replaced by socks, while auntie came in third with 22%. 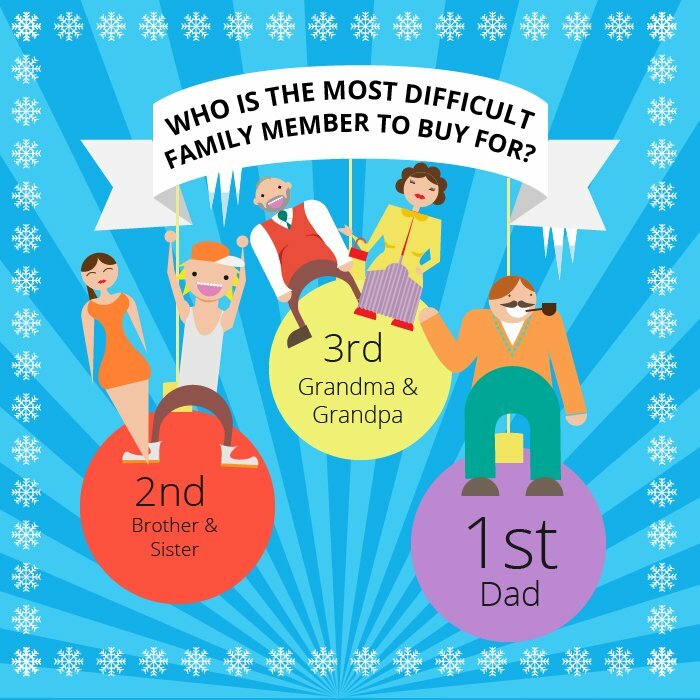 Who is the most difficult family member to buy for? It’s always the same from the “I don’t want anything” dad (well for 55% of you anyway). Same again then dad – giant Toblerone and socks. 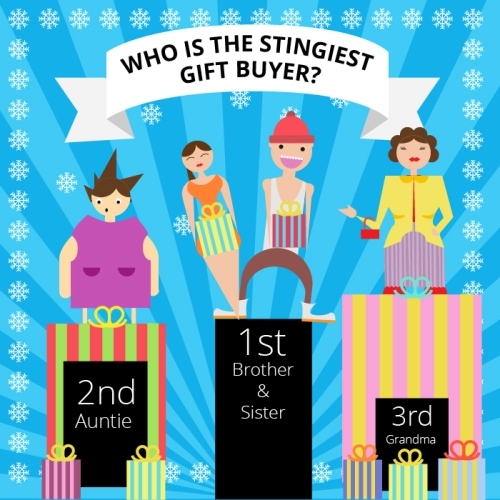 Siblings came in second with 33%, while grandparents are just so easy to buy for (only 12% of you find it tough) all those 3-for-2 smellies come in handy don’t they? 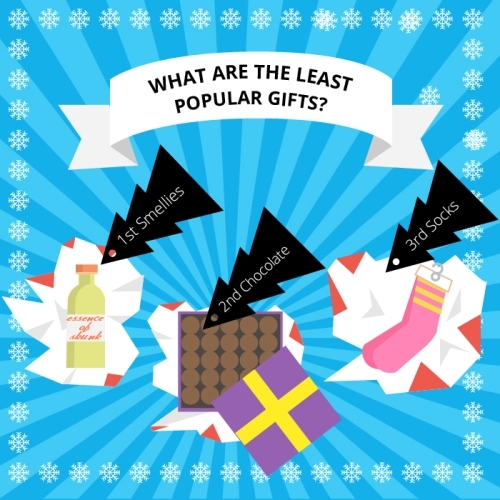 What are the least popular gifts? It’s a classic present that no one really wants – the smelly box set (37% of you hate it). Chocolate came a close second with 33% – as if we aren’t getting fat enough at Christmas. Finally socks were actually the least popular at 30% – they’re just a tad too practical. 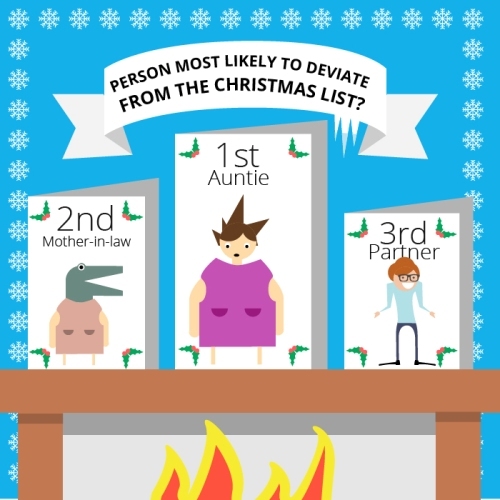 Person most likely to deviate from the Christmas list? It’s a close call between your auntie (43%) and your mum (39%) – why don’t they just listen? Partners actually did quite well with only 18% never listening to a word their better half says. Who is the stingiest gift buyer? Remember that time you gave Barbie a short back and sides? Well your sister is still holding a grudge, which is why 48% of you will be receiving Gareth Gates CDs from now until the end of time. Auntie isn’t doing well is she with 29% feeling she’s a bit of a tight-wad. Grandma’s still putting her hand in her purse (only 23% of you have her down as stingy) – £10 was a lot of money in her day you know.